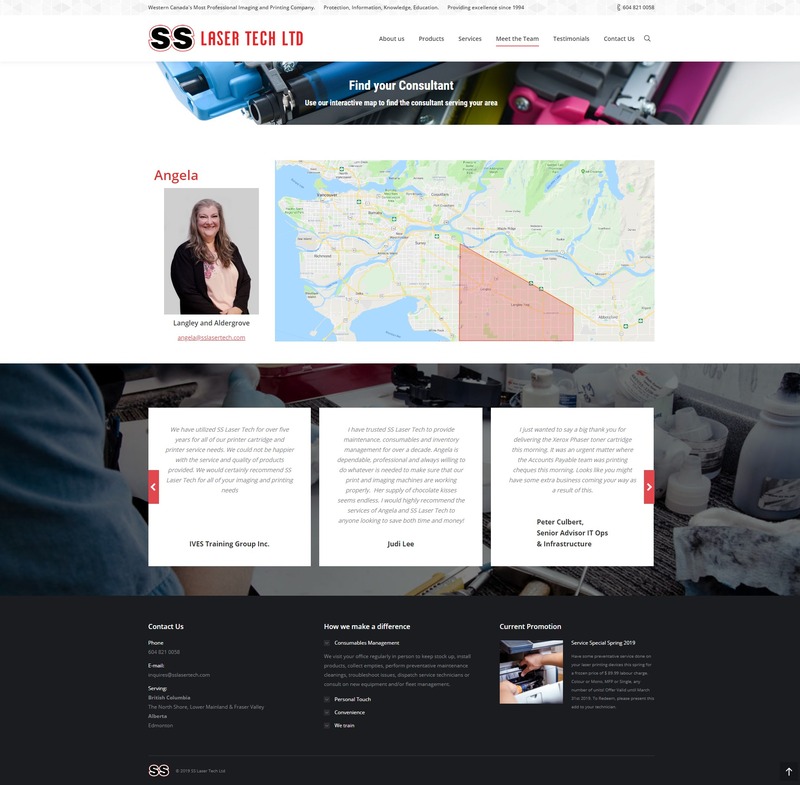 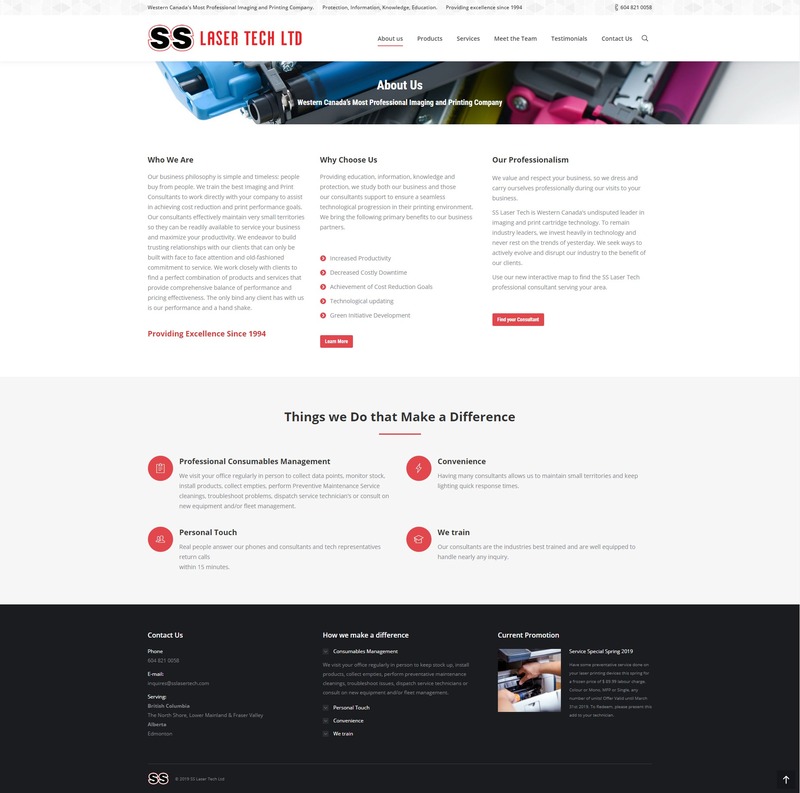 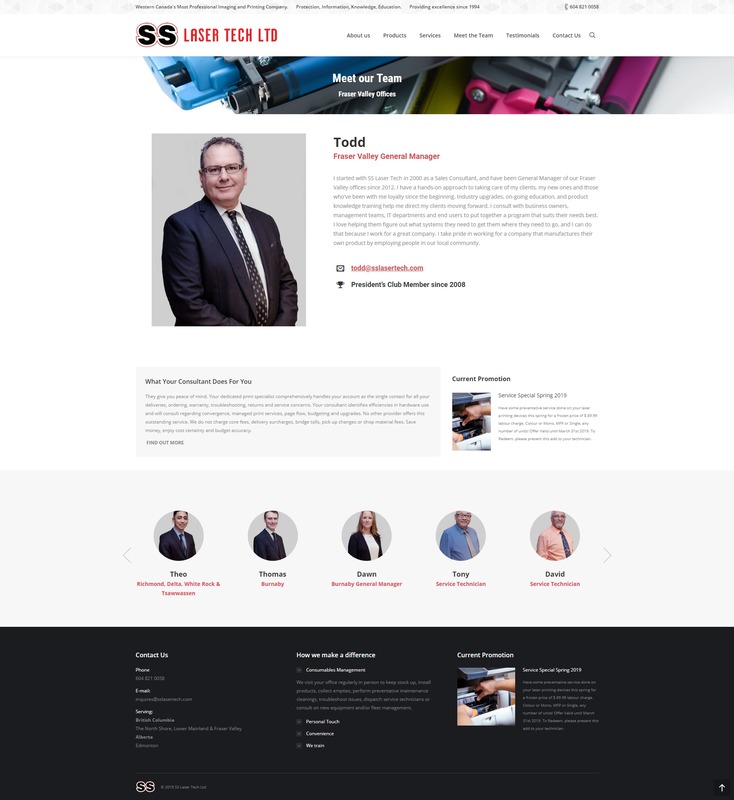 SS Laser Tech is western Canada’s most professional imaging and printing company, they pride themselves on excellent customer service and having knowledgeable professional consultants who eliminate costly mistakes and time consuming correction steps. 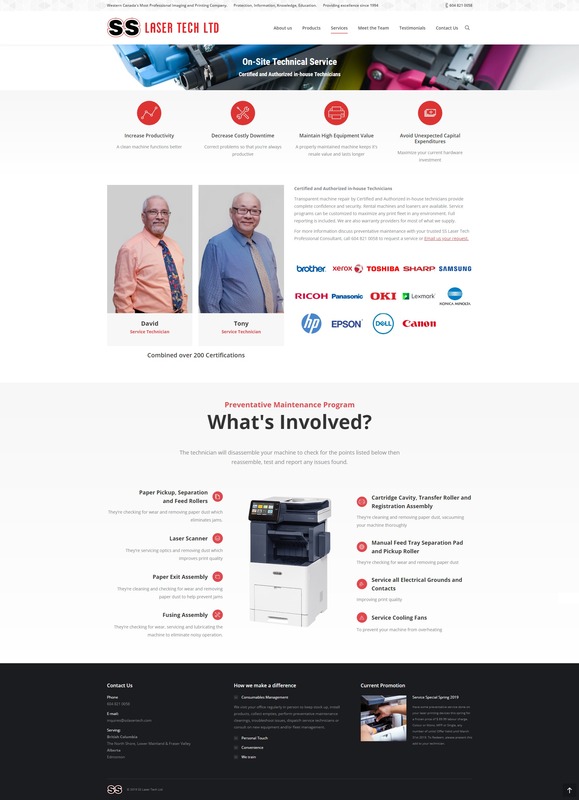 Their goal was to showcase their consultants and make it easy for their customers to find their consultant, so we created an interactive map where the customer can select their region to find out who their contact person is, as well as having regional sorting of the meet the team page. 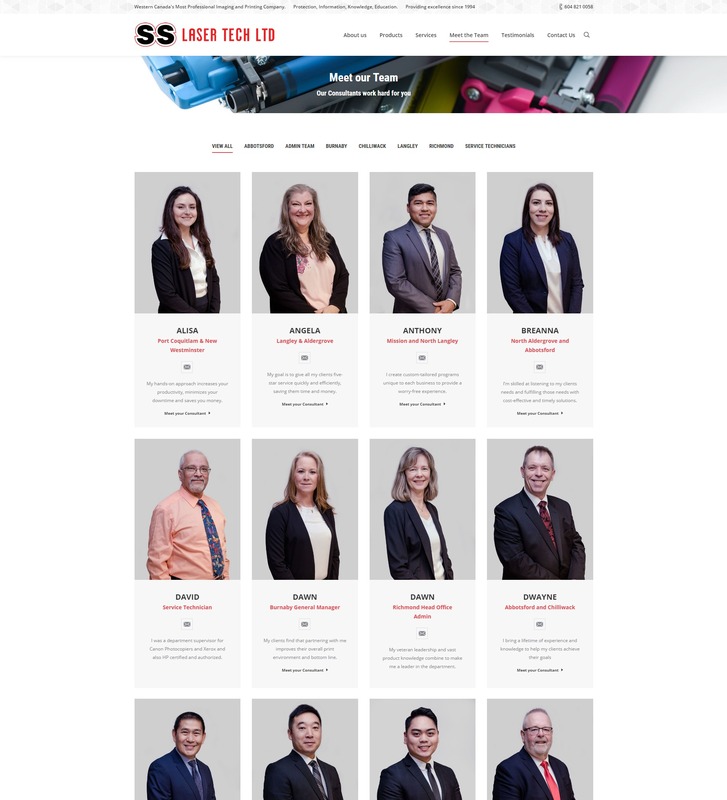 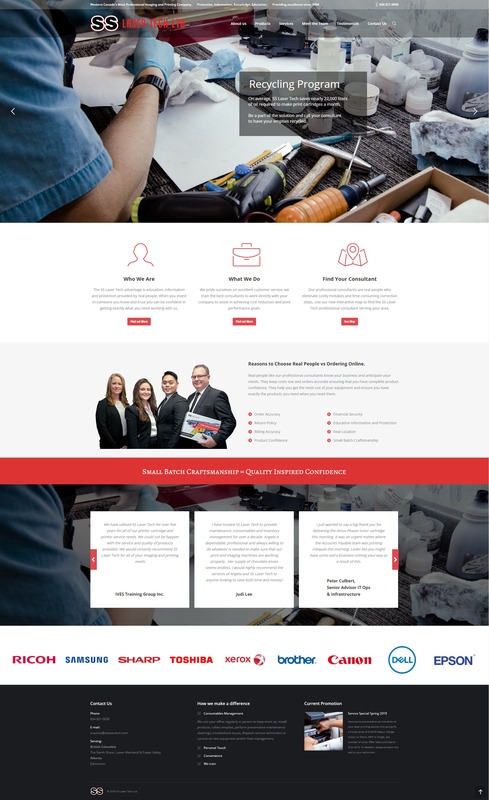 Once again professional photography played a key role in the website design, giving the team that professional polished look that you’d expect from such a highly rated company.